Blog / DTE asks customers to use less electricity during cold snap. Why not go solar instead? The polar vortex inhabiting much of the Midwest continues to linger, with a thaw-out not expected until the weekend. That has led DTE Energy to call on its customers to conserve electricity, citing needs for stability of the power grid. DTE suggests the following to help them conserve energy. While it would be good for everyone who can to do their part to help, what may be better is reducing your reliance on the power company altogether. 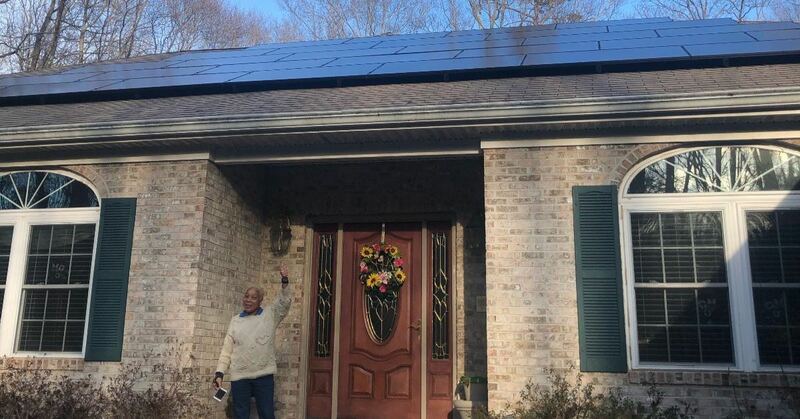 POWERHOME Solar especially loves DTE’s suggestion about letting sunlight power your home. Homeowners can do that in a big way by going solar at their homes and saving money on their utility bills. Michigan’s power rates are among the highest in the nation. Why pay the power company when you could pay yourself? By going solar at your home, you are reducing your dependency on the grid and putting your money toward a product that you can own and a commodity that you can similarly own in the energy your panels produce. Remember, solar panels don’t need heat to work. They just need sunlight, whether that sunlight comes when it’s 70 degrees, or something near or below zero. Even on cloudy days, solar panels generate electricity. Just think of the last time you got a sunburn on a cloudy day. Solar energy is clean, green energy. Contrast that to the energy power companies provide from fossil fuel sources that emit greenhouse gases when burned and contribute to climate change. Solar energy provides customers a choice – one that saves you money on your power bills and helps the environment. It’s a terrific asset from both perspectives. We make it easy on you to start using this clean, renewable solar energy with $0 up-front cost. The solar panels installed on your home are American-made and come with a 30-year warranty, which are significant pride points for POWERHOME.